You are here: Home > MIDI music! > Carnival tunes > lyrics Carnaval (Carnival). Friday April 26th 2019, Saint Alida. 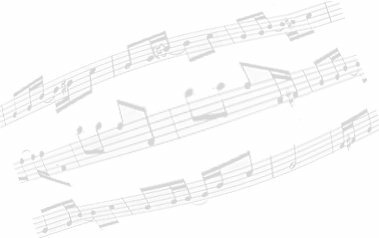 Lyrics and music by Roger Lucchesi and Louis Unia. Traditional from County of Nice. 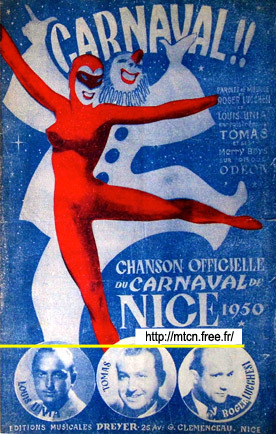 The theme for this year 1950 is “Carnaval et sa suite en 1900” (Carnival and his retinue in 1900). Zoom, zoom, zoom, no more worries. E lou couar plein de cansouns. E viva, viva Carneval ! Carnival! We will catch all together. And the heart full of songs. If you take advantage of the moment. And long live, long live Carnival! Zoom, zoom, zoom and let go! Qui fut gâté par le sort. Ohé ! C’est carnaval ! Ohé ! Ohé ! C’est carnaval ! Carnival! That was blessed by the fate. Do let endeavour to take advantage of it.